A few days ago I was paying off all of my credit cards for the month and checking my bank account statements and a very funny paradigm shift happened. After paying my bills, I logged into my Paypal account just to give it a quick look but, since it only had $700 in it, I just closed the window and didn't bother transferring the money into my bank account. I suddenly realized how different my life (and perception of money) has become in the past 4 months. 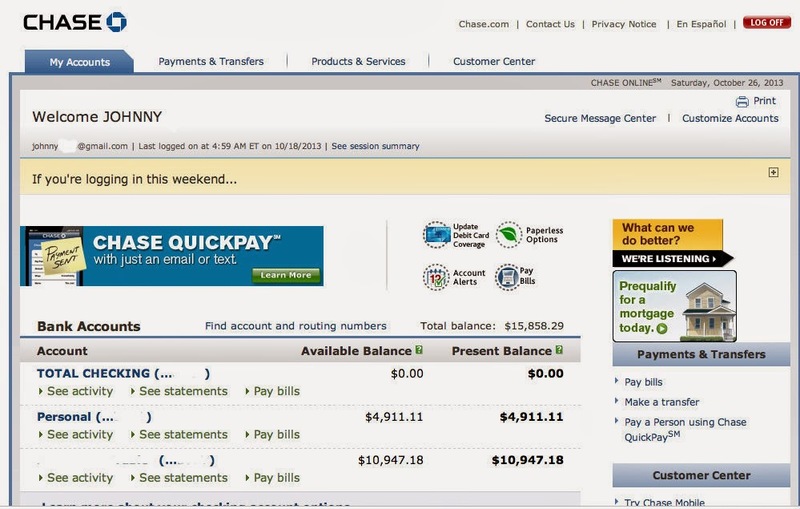 I decided to look back at my bank statements from just a few months ago. 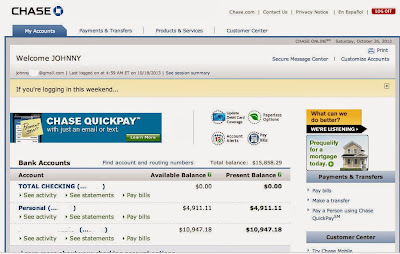 A few months ago I had less than $200 in my bank account with no real source of income. Yes, I would make a bit of money from my book sales but it wasn't enough to live on. I had a few options, the most rational of which would have been to go back to San Francisco and live at my parents’ house while I applied for jobs and saved up until I had enough money to either move out or go on another trip. I actually got down to as low as $70 when I first landed back in San Francisco. 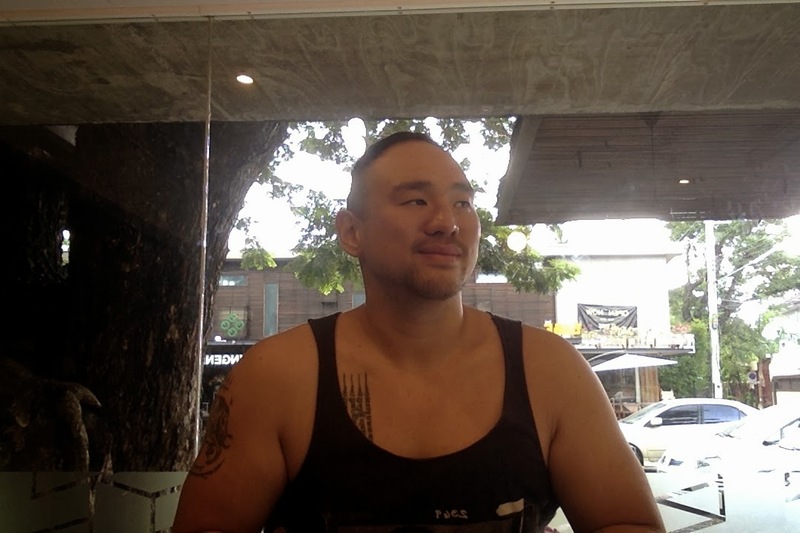 Luckily, I met some great friends out here in Chiang Mai who were successful with their own online businesses and were inspirational and motivating enough to convince me to take a risk and go for broke building my business. Honestly, I had my doubts as it took me exactly two months to make my first sale and I had a stream of bad luck on my side as well - it seems like when things are going bad, everything goes bad at once! I owe a big thanks to Anton, Kurt and the other guys I had met at the co-working office space, ‘Punspace’. I kept working towards the goal. By the middle of July I had less than $70 to my name and back then would have been ecstatic to have that $700 to transfer into my bank account - it would have been a lifesaver! It's absolutely crazy to imagine that just a few months later I wouldn't even blink at that amount nor bother wasting a few seconds and a few clicks to transfer it. Anyway, a few days ago I logged into my bank account and, after paying off all of my credit cards, for the first time I saw a clear snapshot of what has actually been profit after expenses. 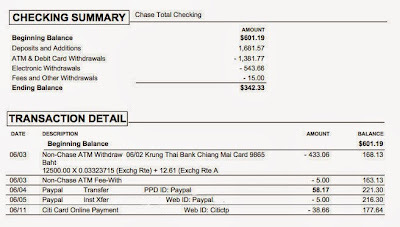 It's almost hard for me to believe it myself but I went from having less than $200 in my account and a ton of credit card bills to pay off, to having over $15,000 in spendable money. Plus I still have that $700 sitting in my paypal account that I haven't even bothered to transfer yet. It wasn't easy I can tell you! It took 2 months of hard work and a lot of ups and downs during that process; however, I can honestly say this is the happiest I've been and it was worth the initial hard work and dedication it took to start it up. Best of all, now I have the freedom to travel, do passion projects (like starting the podcast), resume doing Muay Thai / MMA and update my blogs. Anton's Training Course: AntonMethod.com - eCommerce and Dropshipping explained step by step. Shopify: The program I used to create my online store. Everything Else: Here's a list I wrote up with everything I used to build my business. 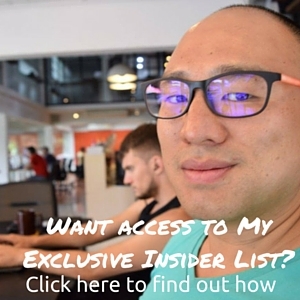 If you want to start your own online business you really should listen to The Travel Like a Boss Podcast – it’s a fantastic way to get motivated and get ideas on what to start up. The reason why I started the podcast is because I keep meeting awesome people who have successfully built up their own location independent businesses and I wanted to share their knowledge with you and all of my friends back home. 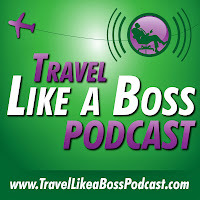 The Travel Like a Boss Podcast is absolutely free and always will be. 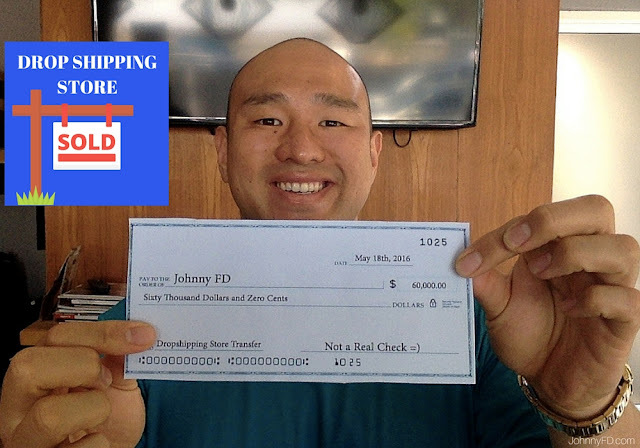 The first two episodes are interviews with people who have done the same drop-shipping course as I did. The third is with two naturopathic medical doctors who make money online with Skype consultations. Episode 4 is with a flight attendant who accidentally became an entrepreneur when she got laid off for the winter. 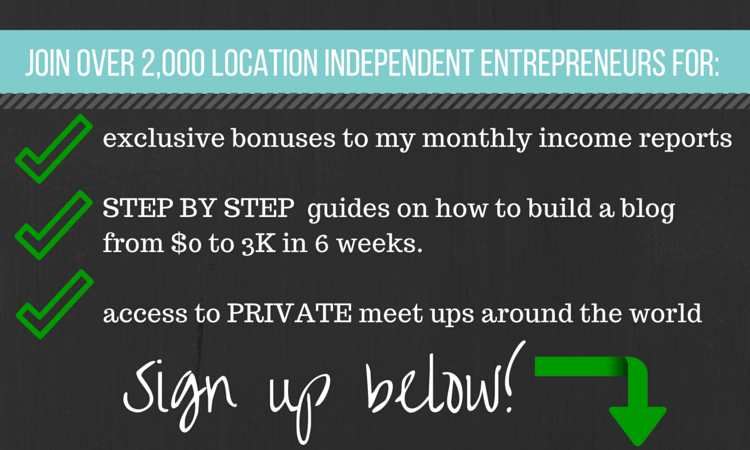 Every week I will be interviewing people who have started all different types of businesses. If you haven't already, go give it a listen - it's free - and I know you'll love it. You can also find it on iTunes and with the free Podcast App on your iPhone. Hi Johnny - Awesome stuff here. I've watched some of your youTube videos and it is too KOOL to watch your lifestyle change. Just found your blog today - and I'm here in Pasadena, CA. I need to read all your links and get some fresh perspectives as I too would like to make the switch and retire in like another 2 yrs......hopefully to Bangkok. Thanks again - keep up the great work. Hey Bryan, I completely didn't think of that. I guess the youtube videos I've posted starting a few years ago when I first started traveling, living in places with shared bathrooms then upgrading to a $200 a month apartment to my lifestyle now is completely different! Impressive Johnny! Was that your balance even after you paid your suppliers for all your orders? Maybe I need to change niches? I've had a few four figure months, but nothing like that. Keep up the good work and love the podcast. Hey Shawn, yes I believe so. There may be a few orders that I haven't been billed for yet but most of them bill my credit card as soon as they process it. Congrats on the four figure months, just keep plugging away to get those consistent and you'll do well. Hey Dexter, even though I've never met you in person, it warms my heart knowing that I am making a positive impact out there. I wish you the best escaping your 9-5 and I have a feeling that as long as you keep plugging away and working towards your goals you will make it. I'm also glad you are enjoying the podcast, help me spread the word and please take a minute to give it 5-stars on the iTunes store. Keep in touch and let me know how your journey goes. I'm here to help. Through obtaining the finest involving roses, to choosing the tunes, digital photography and also dealing with the complexnesses of the event’s logistics – we’ll possibly be generally there along, every single move of the technique, to ensure that most you’ll are related, will be say ‘I do’! This is epic! And timely for me as I'm just about to visit Punspace for the first time this afternoon. Hope we can connect when you return from your trip! Will be streaming Travel Like A Boss...the way to go. The catering organization offers catering companies for all those types of events and get togethers for example individual functions and corporate events which include wedding party events, destinations, wedding anniversaries, training seminars, seminars, merchandise launches along with events. First off, my respect goes to you for achieving your goals, I realize it surely is not easy to start with. - You barely mention any SEO tools/tactics in your step by step "how to" guide. Any particular reason why? Does Shopify do the SEO for its customers? - How do you calculate the margin you wold put on top of the selling goods? - Do you need to incorporate as a legal entity (company) or can you just operate from an individual Paypal account? Hi Frank, big thanks to your kind words. Krabi is a great place to be based out of and I'm glad you're joining the journey yourself. SEO - I get 80% of my traffic through google/amazon/other paid ads and the rest through organic searches and results. Margins - I set my prices based on what amazon and other competitors sell it for, I'm never the cheapest or the most expensive, I just try to have my stores provide the best ordering experience. Incorporate - I started the business as a sole proprietor as shopify legs you take credit card payments without through them. Anton explains everything above and the system a lot better than I can and walks you through step by step how to get traffic, set prices, etc etc.